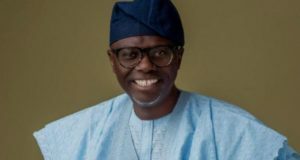 Against the run of play, former Lagos State Commissioner for Establishment Pensions and Training, Babajide Sanwo-Olu, emerged as the governorship candidate of the All Progressives Congress (APC). In this wide-ranging interview with selected journalists, he speaks on several critical issues facing the state. Wale Ajetunmobi was there. You defeated Governor Akinwunmi Ambode in the APC primaries that would have earned him a second term, will you allow him lead your campaign? Well, thank you very much. 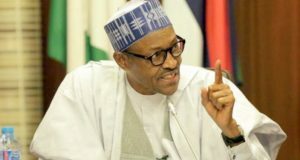 Yes, it is true that I won the APC primary which qualified me as the gubernatorial candidate of the All Progressives Congress (APC) in the 2019 elections. I must also let you know that the last two months have been very interesting for me and the entire political landscape in the country because of the unprecedented nature of the outcome. That means politics is working. It also implies that when you give power to the people, especially via the type of primary we ran, which was direct primary, you certainly cannot second-guess the outcome. With that outcome, Lagosians, who are APC members, have provided me with the huge opportunity of serving Lagosians and given me the responsibility of leading the state. As the winner of the APC primary, and by the reason of their votes, I am now in this position; seeking the supports and votes of Lagosians towards becoming the next Governor of Lagos State. I am humbled by their trust in me, and I must say that I am equally equipped for the role of the Governor of Lagos State. The second part of your question, which is whether Governor Ambode will play a role in my campaign. See, Governor Ambode is my Governor. We have only one Governor in Lagos today, and his name is Mr. Akinwunmi Ambode. We are in the same APC. He will certainly lead my campaign and play all the important roles he needs to play for us to win. The primary has gone, and we are in the trenches with our sleeves rolled-up, working hard and strategizing on how to attain electoral victory for our party. Beyond politicking, Governor Ambode is my brother. We have known ourselves long before now. As I said earlier, we are members of the same political family. As party men, we are building a strong coalition and formidable force that will deliver victory to our party in the coming election in Lagos. He has all the machinery that will help me, and the party achieve this goal. In terms of bitterness, I hold no bitterness and he probably does not as well. We will do all our best. I will open up to him to give me all the support I require to do well in the election. Party men and women have spoken. The task before us is to go to the people of Lagos, who are not card carrying members of our party, to seek their mandate. We need to make Lagosians know that my candidacy is the one that will deliver the greatest good for the greatest number of people. That is what this election is about and that is what my candidacy represents. 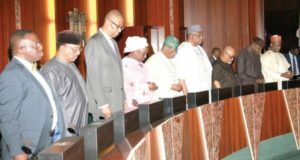 Are you really the choice of APC members, or just a stooge of Asiwaju Bola Tinubu whom he imposed on the party? I find comments like this interesting when I hear them. I am sure you have been following developments in Lagos APC since the primary where over 1million party men and women came out to cast their votes and the results were out, a product of which I am. My emergence or candidacy has nothing to do with Asiwaju Ahmed Bola Tinubu. It has nothing to do with the party leadership. It has to do with me taking part in a direct primary. A direct primary in which every card-carrying party member exercised their voting right. It is not fair to reduce this to just a man, who is our leader. Asiwaju Bola Tinubu is not just a state leader, he is a national leader of our party. He is preoccupied with issues about the development of Nigeria. He is busy with how to achieve the Nigerian dream. He is our father. He is our leader. We are all his children. There is no issue about somebody being his favourite. The issue is about over 1 million card-carrying members of APC in Lagos who decided who the party flag bearer should be with their votes, and this, I think, is the way to see what happened. 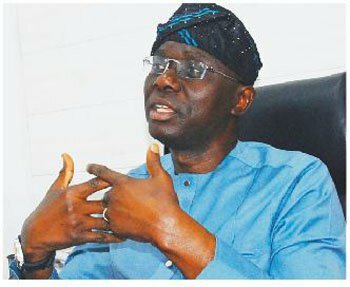 Who is Babajide Sanwo-Olu and at what point did you decide to become Governor of Lagos State? Babajide Olusola Sanwo-Olu is a 53-year old man. If I begin to say everything about myself it will probably take about 53 years to roll-out the answers to your question. In very simple term, I have been a public and private sector man. I have done 17years in the private sector, banking to be precise, I have done 13 years in the public sector. I was a three-time Commissioner in Lagos State, and until recently, the MD/CEO of perhaps the biggest and oldest real estate development company in Nigeria – that is Lagos State Development Property Company (LSDPC). I have been Special Adviser to a Deputy Governor of the state and later to the Governor. I have served under 3 Governors of Lagos State. I have run the balance sheet of banks, three different banks, where I was Treasurer- Lead Merchant Bank, UBA and First Atlantic Bank (now part of First City Monument Bank). I have worked as a Seismic Surveyor with United Geophysical Nigeria Ltd (a seismic data acquisition company) in a role which took me round the whole Niger Delta and Lake Chad region prospecting crude oil for Shell Petroleum Development Company (SPDC) and the Nigerian National Petroleum Corporation (NNPC). I also ran a start-up company in the 90s, which allowed for extensive nurturing of my entrepreneurial skills. I have done so many great things. As to when did I decide to be Governor, I have always known that the opportunity will present itself one day. Let me say my children too have always said to me that Daddy with all this your passion for public service, helping people and all that, it would not be out of place for you to run for office and steer the state. On a lighter note, with the ‘Not-Too-Young-To-Run’ people right behind us. If I don’t take the opportunity now, I may not have it again. I have always had it in me and since the opportunity presented itself, there is no better time than now to do it. Your main opponent in the election is Jimi Agbaje. Where do you think you are better than him and are you scared that you can lose to him? Well, Mr. Jimi Agbaje is a fellow Lagosian. He is an Egbon. He is someone I know and he is someone I have personal respect for being an Egbon. That is how we were trained and brought up to have respect for people and most especially those who are older than us. He is certainly older than me, but on the political landscape, our pedigrees and experiences are not the same. If you talk of public service experience, effective representation and credentials, I am certainly better than him. Yes, it is true he has contested three times and you know what the results have been for him. You asked if I am scared. Scared of what? What will a 53 years old man like me be scared of. We are going into the election and I am sure it will be a good contest. At the end of the day, I will win the election. Let me say again that I respect him and his tenacity for wanting to lead the state. What will you say about Governor Ambode’s statement regarding your mental health and allegation of spending fake dollars in the US? This is the umpteenth time I will be asked this same question and my answer has been the same. You need to know that during politicking, things happen and people say things they don’t really mean all in the spirit of politics. They have to say it just to throw darts at the other person. Governor Ambode is someone I have great respect for. He is the Governor of the state. He is my Governor and he occupies the office I am aspiring to. I am in no way going to speak against that office or the person that sits in that office. Like I said before, it was all politics that went the wrong way. The simple answer is, none of those things happened. I have never been detained in the US or any country in the world. I did not spend fake dollars anywhere in the world and I am not that type of a person. I was still in the United States a couple of months back. I have never been to Gbagada General Hospital for any ailment. I don’t have any medical record at the hospital. In fact, the two times I have even been to Gbagada General Hospital were to donate. One was on my birthday when I went around the wards to donate gifts. The second, I was on charity mission, looking out for those who needed help which I provided. That is who I am and who I will always be. I have done this in the last 5 to 6 years. Will you complete ongoing infrastructural projects initiated by Governor Ambode in the event his administration is unable to complete them before May 2019? You know governance is a continuum. You take over both assets and liabilities whenever you assume office as Governor in the case of a State. And whichever way you look at it we are same party. I have been in the system as Commissioner. I have run the state civil service as the Commissioner for Establishment, Pensions and Training. I have managed the Budget of Lagos State as Commissioner of Budget and Economic Planning. So, I know how some of these things work. Part of what we will see is the medium-term expenditure framework and projects that are ongoing. We will certainly continue all projects that already have public funds committed to them. It will make no sense to have abandoned projects everywhere. We will complete any uncompleted project and put them to use for the benefits of Lagosians and Nigerians in general. We will certainly bring about other projects and innovations that will complement all of the things that are happening in the state. Lagos has the largest population of middle-class and possibly the poor people in Nigeria, who often struggle to pay for expensive private schools and private hospitals for their children. What will you do to arrest the decay in public education and healthcare in Lagos? Let me first correct something here. I think it is not fair to generally use words such as ‘decay’ and ‘complete breakdown’. They are extreme and also suggesting that government is not doing anything at all in the two sectors you mentioned. That is not true, but it may mean that we need to improve on what we have and do much better. If we begin to compute the number of people in Lagos daily who use existing facilities in the state, then we will realise why effective planning has been difficult. Our plan is to roll-out a lot initiatives and improve on social planning. Our focus is on the people at the bottom of the pyramid. The very poor people you talked about, who do not have any choice. Those who are able to take their children to private schools or private hospitals have choices, and can pay for what they need. Again, I must add that, the school a child attends is a prerogative of the parents. Those who will take their children to private schools will still do, regardless of whatever government provides. It is the poor people who do not have a choice that the government must make giving their children the opportunities they need in life a priority. We must bring opportunities to the poor. We have about 1,300 public primary schools in Lagos. We will improve on the infrastructure in our public schools and hospitals, and train personnel to deliver quality services to the people. I am a product of the public school system from primary school to the University. I understand what you are saying perfectly. We must make the school system functional, and run it better. It is imperative that we create opportunities for the children of the poor. On health, we have commissioned a research, which will be completed soon. Some of the issues around accessibility, affordability and effective healthcare delivery system will be frontally addressed. We have the facilities, but we need to bring a lot of reforms into the health sector that will make healthcare affordable to Lagosians, and qualitative too. We will look at the State Health Insurance Scheme (SHIS) for citizens and how all these tie into a working healthcare system. We will integrate the reports of the survey into our policy agenda on healthcare. Finally, we will espouse our manifesto and will soon be releasing them to the public going forward. There seems to be a logjam around waste management in Lagos with PSP operators and the Cleaner Lagos Initiative championed by the current APC government in the state with Visionscape. Will you abandon the Cleaner Lagos Initiative or re-tweak it and also the matter of N50billion Bond Guarantee Lagos State gave for Visionscape? Let’s be very careful about just throwing figures all around. I don’t know anything about N50billion. It is possible the government may have given Visionscape some amount. I do not know the terms of engagement of Visionscape as we speak. I am not the Governor. I do not have the specifics. What I will say is that we won’t throw away the baby with the bathwater. If there are issues around the Cleaner Lagos Initiative and Visionscape engagement that can be resolved, we will certainly look into them. If it is about the implementation of the initiative, we will see what the problem is. If it is the structure or the process around the whole arrangement, we will look into that too. I am sure that there are positives to keep in the whole idea, while we will certainly do away with the negatives. On Private Sector Participants (PSPs), I am sure it is not all bad news for them. Whatever must have gone wrong with the PSP arrangement will be holistically looked into. The bottom-line is Lagos needs to be clean. The refuse needs to go. More importantly, we now need to go back to ourselves as individuals and embrace a better culture of refuse disposal, which begins with waste sorting. It is when we start sorting our waste that waste management becomes more effective, and transformable to wealth. We do not need to mix organic waste with plastic bottles for example and all what not. Our people must sort waste and separate them properly. We need a total mindset change. Advocacy must come into this. Public enlightenment will play a pivotal role in this attitudinal change. It is not going to be a one-size fits all solution. What I can assure our people is that we will solve the problems associated with waste management in Lagos. Lagos will be cleaner and more livable for all. Too much man-hour is lost to what has become a very bad traffic situation in Lagos and this has led to low productivity in Lagos with people spending hours in traffic. Do you have any plan to tackle the gridlock in Lagos if elected as Governor? Traffic management is a very serious issue, but also a low hanging fruit our government will pluck easily. Our first study commissioned a couple of weeks ago on traffic hot spots in Lagos showed that there are about 47 points in Lagos where traffic gridlock is always very bad. By the time we drill further down in the last phase of the report, it may be a little above 60 points, where traffic is usually very bad around Lagos. One of the things we need to creatively think about is identifying the causes of gridlock in these areas. Already, we have seen that in some places, location of fuel stations have been identified as one of the causes of the problem. In some other areas, offices and commercial buildings without parking spaces are contributors to the jams. Quick Service Restaurants, where vehicles are reversing-out of car parks also contribute to blocking of our roads. Of course, we also know that bad roads are a major contributor to this challenge. We need to design solutions and look at each location case by case. We are currently working with some traffic management experts, who will help us look into the issues and come-up with smart solutions. There are areas all we need to reduce the big roundabouts. There is also the issue of our people. I mean behavioural issues that we need to address. Many of our people do not know that they are not the only road users. People must drive responsibly and respect the right of other road users. We need to take some of these messages back home to educate ourselves. People must know that the same right they have to use our roads is the same right others have. We must respect ourselves on the roads. Appropriate road use conducts can contribute significantly to removing congestions from our roads. Traffic signs and traffic lights must be obeyed. It is only when we do the little things we need to do as citizens that we can solve some of our problems, including the gridlocks on our roads. People should not drive against traffic when there is no need to do so, or when not directed to do so by traffic management officers. We will bring increased efficiency into traffic management in the state. LASTMA officers will be retrained, and where there is need for recruitment of more officers, we will do that. We will do a lot of enlightenment campaign around the issues, while working on implementable solutions. Every challenge will get a bespoke solution. We need to know the requirements of each traffic hot-spot. Part of the solution could also be, for example, in the morning, during rush hours you see places where traffic is moving on one side and not moving on the other side. A smart solution is to look at how we can extend some of the free lanes in the morning and in the evening reverse same into another lane. This means that in the morning, we turn a 4-lane road into a 6-lane, and reverse the order in the evening because the pressure point has changed. People are going back home from work and other places they drove to in the morning. See, simple solutions like directing traffic to the free lanes to decongest our roads as quickly as possible, especially in the evening, during rush hours, could reduce travel time and enhance our productivity. Even, there are health benefits to effective traffic management, so it’s a major point of consideration for our government. Our focus is beyond just road travels within the state. We are thinking about an integrated transportation system befitting a megacity state like Lagos. A 3rd of Lagos is water. That suggests that we have a huge water transportation opportunity and alternative. The waterways need to be properly mapped to help navigation. Where we have water body that needs to be dredged to allow boats to move well, we will do. I know one of the problems with water transportation in Lagos is lack of investment, and operators are not willing to invest because of poor returns. The operators complain of poor patronage. When they take people from Ikorodu to Island in the morning, they return the boat empty without passengers because less people go towards the area in the morning. We will have to look at how we can help them solve that problem, such that the venture becomes profitable and water transport more efficient. We also have the rail projects that we need to complete, especially the Blueline from Okokomaiko to CMS. We need to complete the track and bring the rolling stock to get it operational. It is about funding. We will find a way to complete that rail project. Lagos needs a transportation system outside the roads that can move thousands of people daily. As we continue to engage on expansion of our BRT corridors, develop water transportation and deal with the road issues, I believe we will be able to address the problem of traffic gridlock in Lagos. It is worth emphasizing too, that there is no mega city like Lagos, where traffic challenges are eliminated completely. In cities like New York, Chicago, Cairo etc., where they have better public transportation system, they still have traffic issues. It is just that people know the traffic hours, which is usually the rush hours in the morning and evening, and plan their journeys accordingly. Lagosians along the Festac and Badagry axis have complained about the neglect of the expressway to the Seme border. The road project does not seem to be progressing well. What do you plan to do to solve the problem along that axis? That is actually a major concern for me. That axis is supposed to be a major Trans-West Africa economic road. It should serve as a major corridor for moving goods and services to the West coast and our borders. I was in government when we conceived the project 10 years ago. It was designed to be a dual carriage, of 5 lanes each. We will have 10 lanes in all. It was a well-conceived idea. I cannot say what the problem really is with the project, but I can say that for our government, the project will be a priority, when elected by the people of Lagos. That route is a corridor that carries traffic into the West African countries. It is very important we take it up. The good thing here is that that road is a Federal Government project, which Lagos undertook to do because of its economic importance. The Federal Government has now awarded a contract from Agbara junction to Seme border on the same road. That is a major breakthrough for us on Badagry-Seme Border Express. Lagos State will only need to fix the 10 lanes up to Agbara, hoping to get a reimbursement from the Federal Government on the side we would have done. There is very wrong impression people have about Lagos as a rich state because of its IGR compared to other states. We know Lagos is actually poor if we compared the revenue to what the state needs in area of infrastructure and social services. What will you do differently to increase government revenue without adding more to the tax burden and other levies on the people? Very good question. You said people have the impression that Lagos is rich. With the size of our economy, the numbers are not there yet on government revenue. Lagos should in the minimum be doing 4 times better than her current revenue. We are meant to be doing 6 or 7 times the size of the budget we are running now. Go and check it out, the budget of the New York Police Department (NYPD) that provides security for the City of New York alone, not State of New York, is $5.6b dollars per annum. The budget for New York City Fire department is about $3b dollars per annum. Boston as a city spends more money on its Department of Health in a year than the entire budget of Lagos State that will provides for over 20million people.